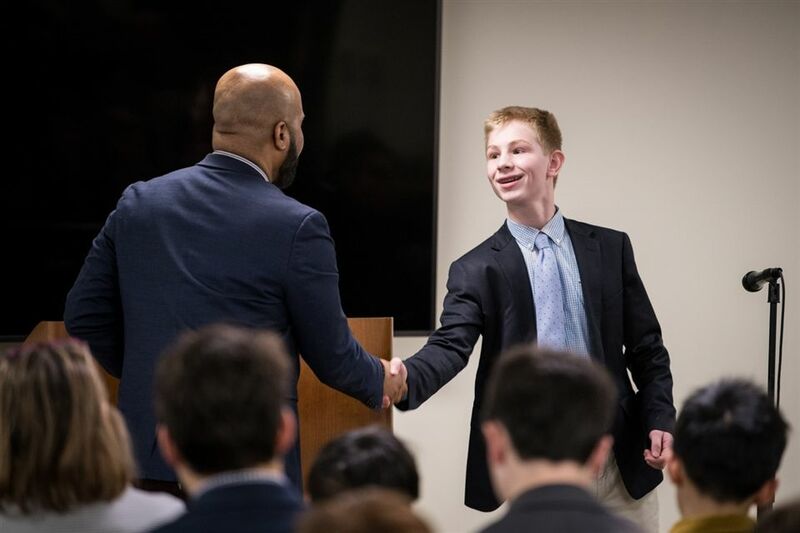 Brunswick welcomed the Anti-Defamation League’s ‘A World of Difference Institution’ — an organization recognizing that attitudes and beliefs affect actions, and that each of us can have an impact on others, and ultimately, on the world in which we live — to the Middle School on Wednesday, January 23. The ADL presented a 90-minute assembly, “Step Up! : Building a School of Allies,” to Middle School students and faculty — with the goals of developing a common language for discussing issues of diversity, bullying, and name-calling; increasing students’ awareness of the dynamics of name-calling and bullying incidents by understanding the different roles people play and the behaviors associated with each role; and providing a forum in which students will feel safe to speak out about issues of diversity, bullying, and name-calling. Middle School Head Sarah Burdett began the program by reminding students about what it means to be an upstanding citizen of Brunswick — and by citing specific language from the School’s Honor Code. 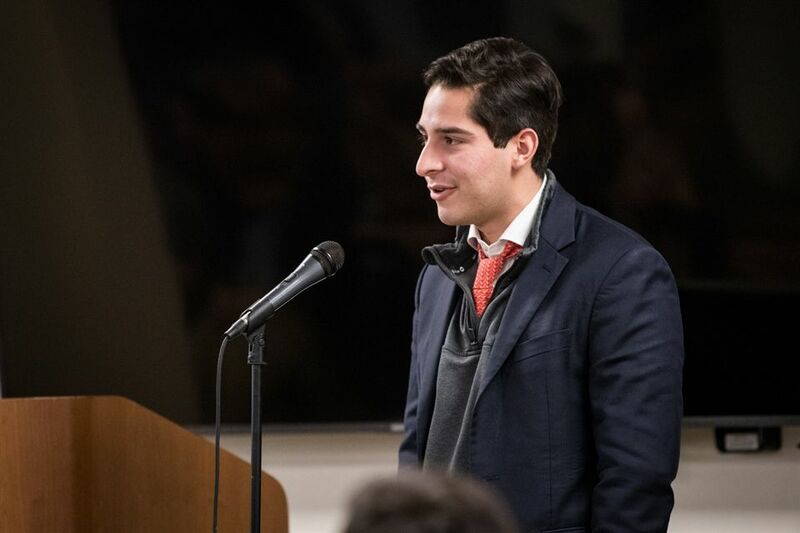 “As a member of the Brunswick School community, I pledge to conduct myself at all times with courage, honor, and truth — in a way that shows pride in myself, my family, my school, and my community,” Burdett stated. 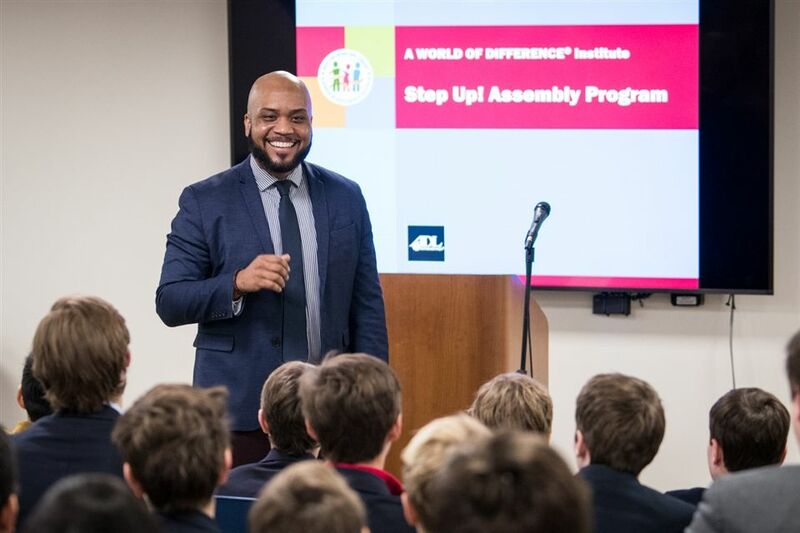 Burdett introduced the ADL presentation’s facilitator, Kevin Booker, who encouraged the audience of fifth through eighth graders to “step up and become allies,” while also laying the ground rules of respect, “one voice,” confidentiality, participation, and responsible risk for the morning’s activities and discussion. 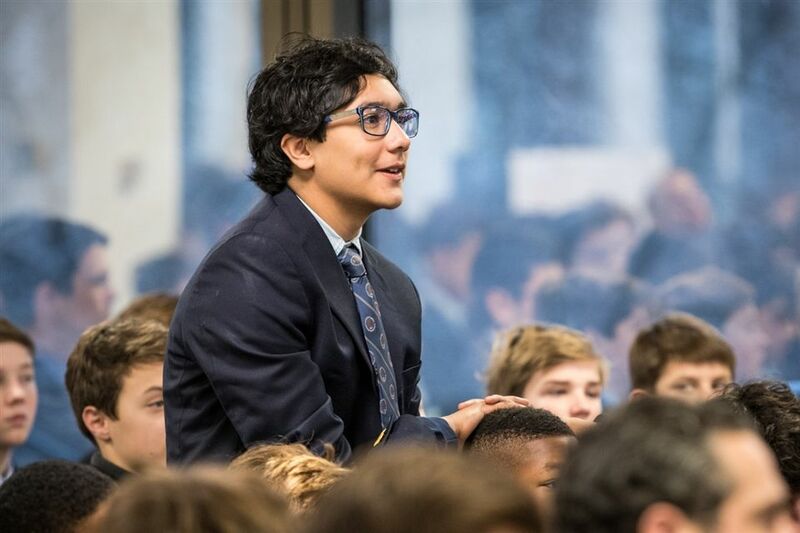 Booker shared (via video) real-life hardships from students across the country who have experienced racism, sexism, bigotry, discrimination, religious intolerance, and injustice — encouraging Brunswick Middle Schoolers to respond with their own individual reactions and personal stories in an open and public forum. 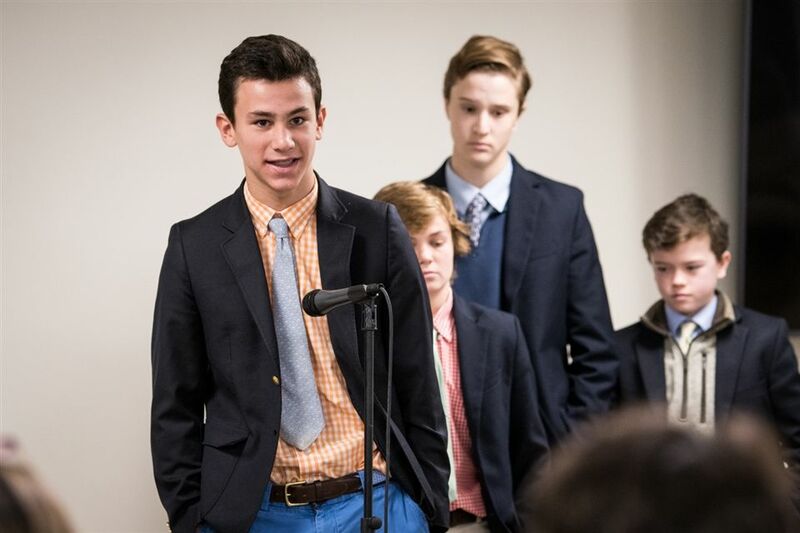 Upper School students, too, from Diversity in Action, also participated in the program by sharing their own voices, actions, and regrets with their fellow Brunswick students. Booker closed by asking his engaged audience to repeat after him — with energy and enthusiasm.